The Cape Trail parking lot will be closed to public vehicles starting Tuesday April 9th and will remain closed through Friday April 12th. The parking lot and trail will be open Saturday, April 13th and Sunday, April 14th but will be closed again on Monday to finish the work. Public will still have access to the Trail system and limited parking will be available on the shoulder of Whiskey Creek Rd. The closure in place is to facilitate parking lot repairs and paving. Please be advised that there is scheduled maintenance and repairs occurring to the Yurts during the month of April. These repairs will occur between normal business hours of 8 a.m. to 5 p.m. We apologize for any inconvenience this may cause. Thank you for your patience and cooperation as we complete much needed repairs. A popular campground and day-use area, Cape Lookout is located on a sand spit between Netarts Bay and the ocean, giving you a terrific view of the ocean with convenient access to the beach. Note: The beach at Cape Lookout is protected by a 50' wide cobble-sized stone revetment. The revetment helps prevent erosion and stabilizes the man-made dune that protects the campground. Visitors that wish to access the beach must walk through the revetment. Please be careful when on the cobble stones, as they can be unstable. Beachcombing is popular here, and the park is reputedly a good place to find glass floats. More than eight miles of hiking and walking trails wind through a lush old-growth forest. 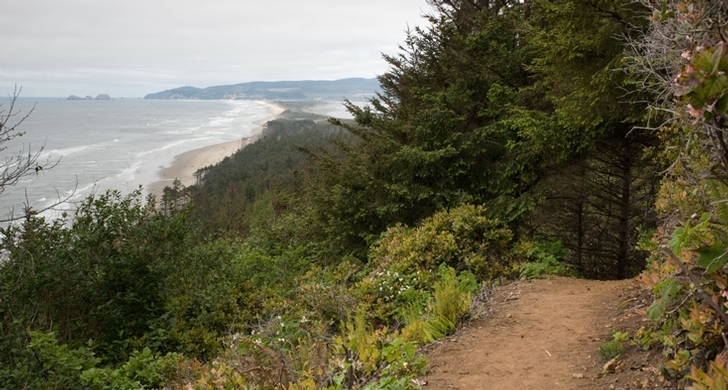 The Cape Lookout trail follows the headland for more than two miles. A bench is located at the end of the trail. Enjoy the view! You might see a whale or two along with other wildlife. One walking trail—the nature trail—is perfect for a shorter jaunt. The nature trail gives you a close-up view of native trees and other plants. Numbered markers are keyed to a trail guide. The beach which runs for more than three miles from the base of Cape Lookout to the end of the Netarts sand spit provides another great option for walking at Cape Lookout. Be sure to be aware of incoming tides, as some areas of the beach will completely disappear during high tide. Be sure to look up when you visit this park; hang gliders and paragliders fill the air with colorful wings as they catch thermals and rise to dizzying heights. 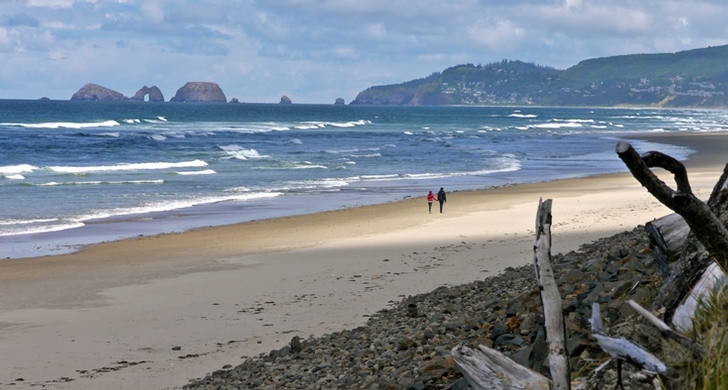 Along with Cape Kiwanda and Cape Meares, Lookout is part of the Three Capes Scenic Route. 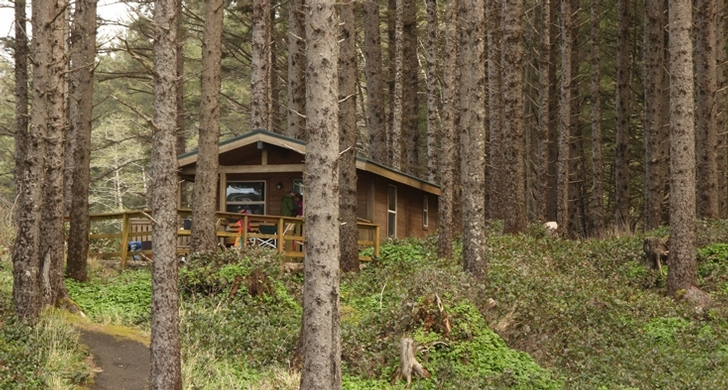 Two campsites and one cabin are accessible to campers with disabilities. Nine yurts have ramp access but are not ADA compliant.